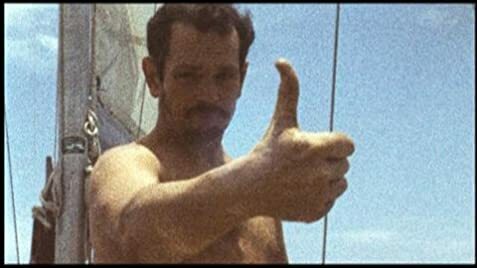 In 1973, with almost no experience, Mexican captain Ramon Carlin raced against the superstars of sailing in a 9 month deadly round the world regatta winning the overall prize. The story of a small group of modern seafaring gypsies, following them as they strike out across the largest expanse of uninhabited geography on earth, in search of adventure, awe and whatever else lies at the far side of the world. Confronted by a perilous sea, bad weather, an unfinished boat and painfully slow progress, sailor Donald Crowhurst faces an impossible dilemma - to continue into the open ocean on his 1968 solo round-the-world race with a leaking boat or return home defeated and bankrupt. Using original 16mm footage, tape recordings and interviews, this film reconstructs one man's extraordinary physical and psychological journey. 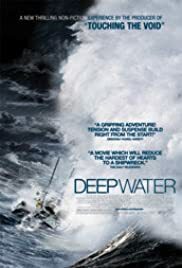 Deep Water examines the pressures and ambitions on an ordinary man in a compelling documentary. The testimony and archive footage are a fascinating insight to the late 1960's and a ground-breaking round the world yacht race. The personal conflicts of duty to family, self and reputation are played out in one of the most memorable and affecting films I have seen. I was not familiar with the history of this story and the drama was successfully and clearly directed. The story is mostly respectful to the participants with heroes and villains implied rather than ruthlessly exposed. Most of the interpretation is left open to the viewer allowing room to personally relate to the situations and characters. This movie is a bitter sweet experience with an entertaining mix of thoughtful suspense, joy and drama.